Adam Smith (1723-1790) was a Scottish social philosopher and pioneer of classical economics. He is best known for his work ‘The Wealth of Nations‘ which laid down a framework for the basis of free-market economics. Though often considered a champion of capitalism and laissez-faire economics, he was also aware of the limitations of unbridled capitalism and considered his most important work to be “The Theory of Moral Sentiments”. In this work, Smith outlined the importance of sympathy for other people as a key element of human morality. 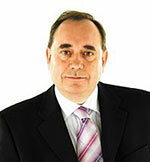 He was good friends with David Hume and together they were a key element in the Scottish Enlightenment. Adam Smith was born 5 June 1723 in Kirkcaldy, Scotland. After studying at the Burgh School of Kirkcaldy, he entered the University of Glasgow to study moral philosophy. He excelled and gained a scholarship to study at Balliol College, Oxford University. However, Smith found his time in Oxford disappointing; he was unimpressed by the standard of teaching, finding that most tutors had little interest in teaching. As a consequence, he returned to Scotland where he began giving lectures in Edinburgh before taking up a post in Glasgow University. From 1751, he was a professor of Moral philosophy at Glasgow University. His teaching and lectures became widely known and he attracted students from all over Europe. Around 1750, he met the philosopher David Hume. They shared a similarity of beliefs about liberty, free speech and philosophy. It became an important personal and intellectual friendship for Smith, and it played an important role in his own moral philosophy. In 1759, he published The Theory of Moral Sentiments. This developed the idea that in human relations, sympathy for other people is a key element of morality and human behaviour. This concentration on sympathy may sound contradictory to his later writings on economics, which emphasised how selfish actions can contribute to the greater good. However, Smith was aware that taking into account the welfare of others contributed to our own feeling of well-being. Also, different aspects of life brought out different sides to people. For example, in designing a factory, you would seek to make most efficient decision (e.g. division of Labour). In deciding how to deal with the poor, human sympathy became an important element of individual choice. After moral philosophy, Smith became more interested in the subject of political economy. His writings concentrated on the value of labour. This was a different approach to the philosophy of Mercantilism which was common at the time. Mercantilism suggested a countries wealth depended on the reserves of gold and silver. Smith argued the productivity of labour was the key factor. 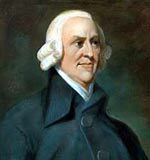 Smith clarified some existing ideas on economics and helped popularise the concept of an ‘invisible hand’ in production. He stated that if people seek to maximise their own self-interests it would lead to an efficient outcome for the whole of society. This suggested there was no conflict between pursuing selfish ends and the whole society benefiting. He also produced a theory suggesting free trade was in everyone’s interest, even when it involved importing cheap goods from abroad. Despite offering a justification for capitalist society and the workings of the market, Smith was also aware private business could end up exploiting consumers if they were not checked. In particular, he was concerned about the growth of monopoly power. He also supported the imposition of progressive ‘fair’ taxes which took proportionately more from the rich than poor. Outside of economics, Smith opposed imperialism, slavery and vast inequality. His biggest legacy was perhaps in the development of modern economics. His work would later be expanded upon by economists who developed his models of supply and demand, such as Walras (general equilibrium) and Paul Samuelson (supply and demand in wages and rent). Smith’s theory of labour was also used in part by Karl Marx during his work Capital. Smith was also an important influence on the free trade movement of the 19th Century and hastened the demise of mercantilism as the prevailing ideology of political economy. Smith is best remembered for his support of free markets, though his work suggests it is more complicated and it would be unfair to label him as an unbridled supporter of laissez-faire (no government intervention). Smith remained unmarried and stayed close to his mother, until her passing. He was characterised as rather ungainly in appearance and was rather absent-minded in the real world. He often paid little attention to outer details, caught up in his own world of thought and ideas. 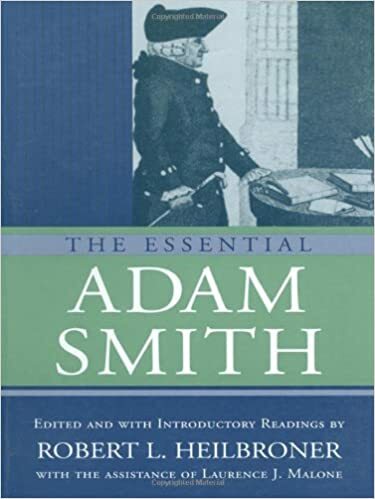 Smith’s father was a strong Christian but, at Oxford, Smith appears to have lost interest in the Christian church, professing beliefs that could be interpreted as Deist (Belief in personal God similar to some of the founding fathers of US). Citation: Pettinger, Tejvan. “Biography of Adam Smith”, Oxford, UK. www.biographyonline.net, 25th June 2009. Last updated 25 Feb 2018. 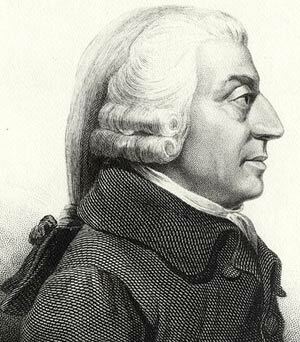 Economists – Famous economists from Adam Smith and John Maynard Keynes to Milton Friedman and Paul Krugman.